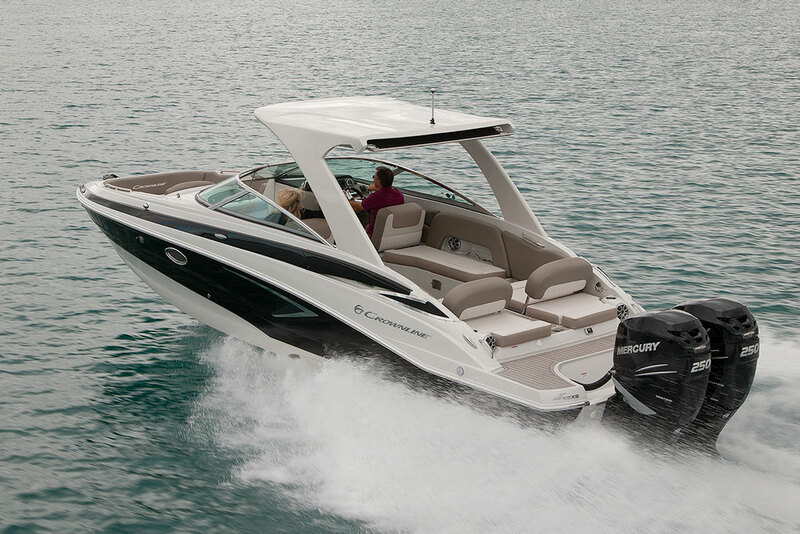 Crownline breaks the mold of convention with its stunning new E29 XS. 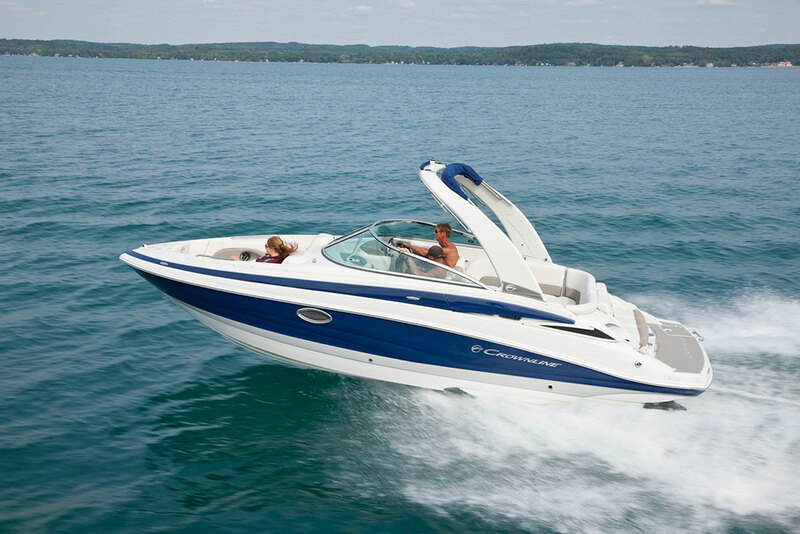 When thinking of a big runabout you used to picture a boat with stern-drive propulsion, but as we noticed when choosing the Top 10 Runabouts of 2016, the conventional design paradigm for runabouts is changing. One of those top picks had an outboard, and another ran with a jet drive. Crownline’s designers have also tossed off the old models of thinking, for their 2017 E29 XS. 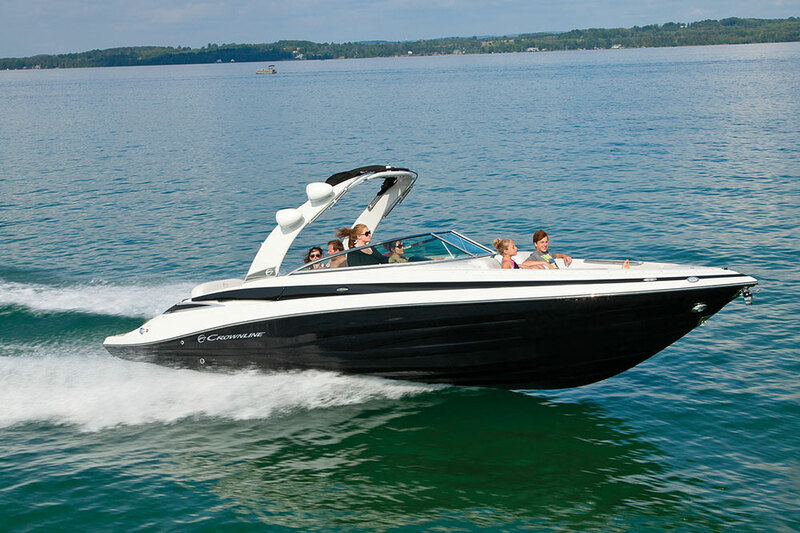 This big new runabout is bursting with novel ideas that are as refreshing to behold as they are to use. 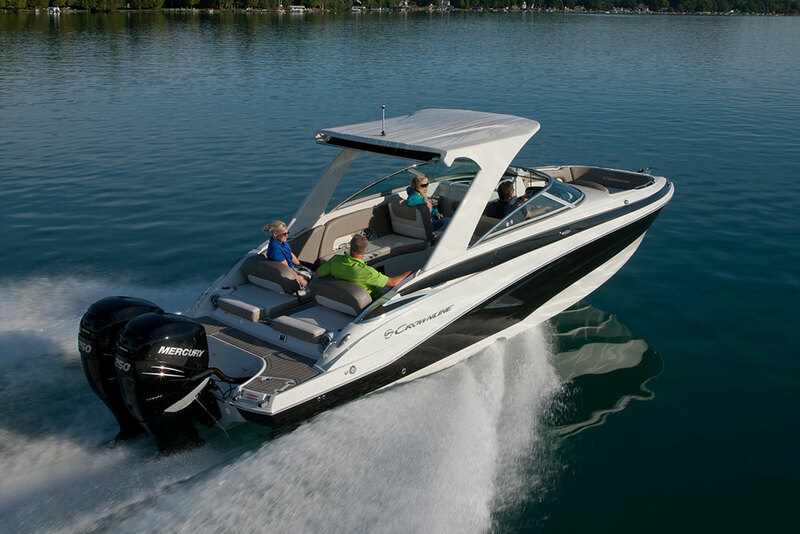 Twin outboards push the E29 XS, and buyers can choose from Mercury and Yamaha power from 200 to 300 horsepower, all of them with drive-by-wire technology. Why is the switch to outboard important? One, it takes the engines out of the hull, which translates into less vibration. Two, it takes the engine out of the hull, which gives designers a lot more freedom—and that’s where the E29 XS excels. Take the cockpit, for example, which benefits most from the absence of engines. Rather than the usual rear bench and sun pad over the engine, the E29 XS features a walk-through to the swim platform flanked by two jump seats with stowage underneath, and back rests that flip forward to create aft-facing lounges with ample length to support your legs. The swim platform itself is generous, with SeaDek foam padding, a receptacle for a tow post, rear speakers, and stereo controls. Because the outboards are drive-by-wire, their installation is tidy and clean, with little rigging on display. Shifting the outboard aft gives designers a whole new way to utilize the stern of the Crownline E29 XS. In the cockpit, port and starboard lounges conceal plenty of stowage, with cushions on dual-pin hinges for ease of use. Both sides are fitted with backrests that can face forward or aft. One of the coolest features in the cockpit is located over it. The hardtop provides a little cover from the midday sun, but it’s also fitted with a pull-out Shure-Shade canvas extension. It’s much easier to use than a folding-top style Bimini. There’s also a head compartment, replete with an electric-flush commode, granite countertop, cabinets, a sink and an opening port. There is no shower in the head compartment, but there’s one tucked in the coaming panel on the starboard side by the swim platform. Up front, the bow features enormous lounges with two hinged cushions for access to the stowage underneath. There’s also a removable cooler up there and a full-featured anchor locker with a windlass, rope, and chain. Here’s the kicker: Everything mentioned so far in this story is—get this—standard equipment. Yes, it’s all included without ticking one options box on the order form. 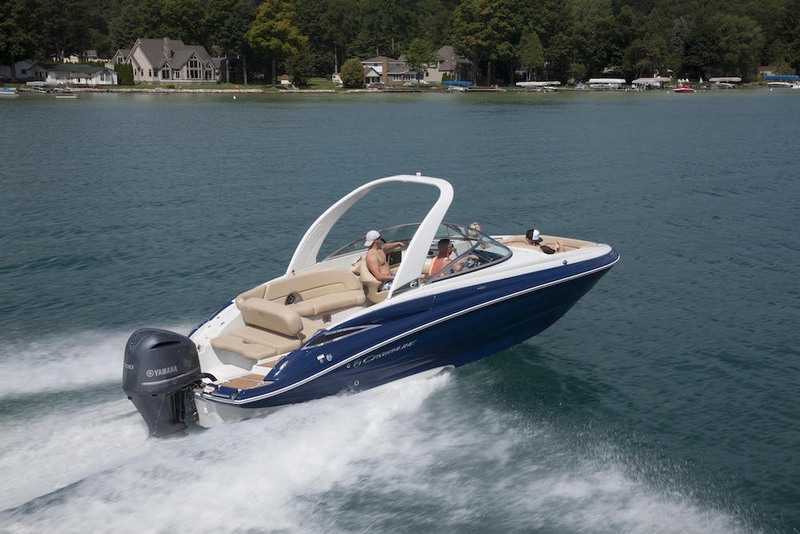 Sure, there are individual options and packages available, but the E29 XS offers a full complement of features as standard equipment, and that’s a good thing for a boat at this price point: base MSRP is $201,132 after the manufacturer’s 10 percent discount. It’s a bit unconventional for a runabout, but that’s a big part of its appeal. 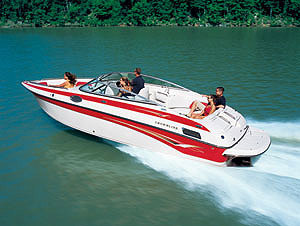 Other Choices: Anther outboard-powered runabout in this class that hit the water lately is the Regal 29 OBX. The Edgewater 280CX also has outboards, but cuts down on the leisure items and adds a few rodholders for those who enjoy angling once in a while. 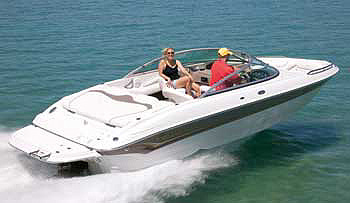 And if you’re looking in this class but are still stuck on stern-drives, take a look at the Sea Ray 280 SLX. 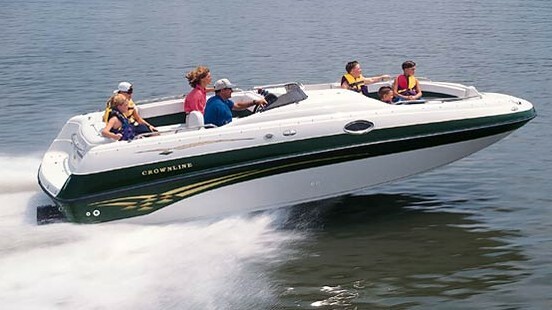 See Crownline E29 XS listings. 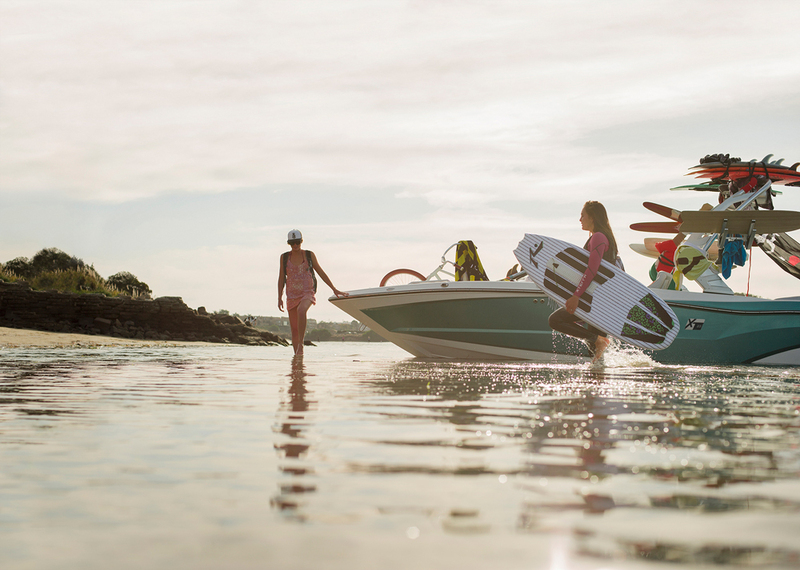 For more information about making the stern-drive versus outboard power choice, read Outboard Engines on Bowriders: A Match Made in Heaven?